performed at off-site commercial laboratories. In the meantime, they have to use their experience and best judgement to try to control the spread of disease before they know its cause. What if those veterinarians could have answers in hours instead of days? Sophomore veterinary student Patrick Frenzer and the research team including Dr. Kris Cooke, Sylvia Tucker, Dr. Julie Levy, and Dr. Cynda Crawford evaluating a mobile PCR mini-lab for rapid disease diagnosis in shelters. 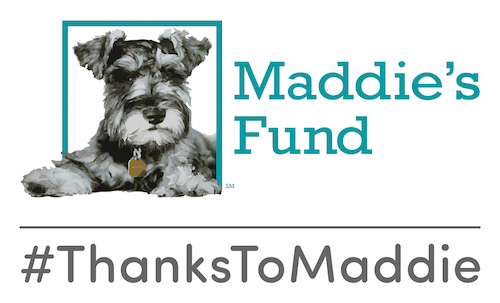 That’s the question sophomore veterinary student Patrick Frenzer wanted to answer through his research project with Maddie’s Shelter Medicine Program. He spent his summer evaluating a new system for diagnosing infectious diseases in real time using PCR. It’s a technique usually reserved for bulky equipment in specialty laboratories, until the arrival of a new simple-to-use, suitcase-sized, mobile mini-lab. Patrick compared the accuracy of the new PCR test for Babesia gibsoni (a blood parasite commonly found in dogs rescued from dogfighting rings) to a gold standard laboratory test. If he finds the new mobile test is reliable, it could introduce a powerful tool to detect a multitude of infectious diseases and help stop shelter disease in its tracks. 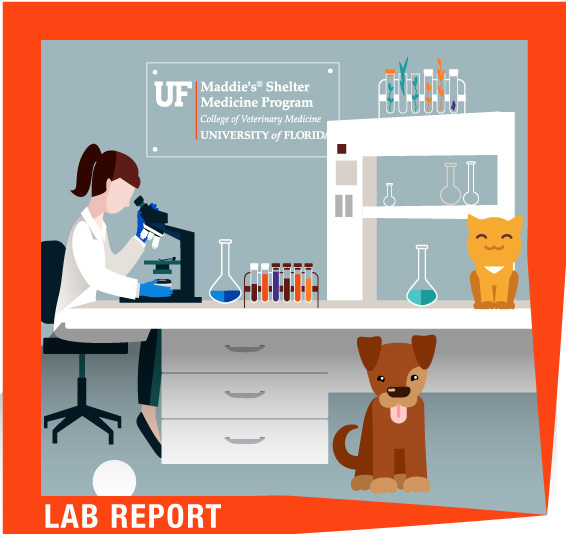 This research was made possible by Maddie’s Fund, the Lois Kugler Small Animal Research Trust, and the UF College of Veterinary Medicine Department of Small Animal Clinical Sciences.